8 2015 Days of '47 slogans passed over in favor of "Pioneers: Forging a New Future"
8. "The Inspiration for Pie & Beer Day"
7. "168 Years of Progress ... and Pageants"
6. "Your Only Chance to See a Horse on the Street All Year"
5. "There's No Better Place to Be If/When the Rapture Happens"
4. "Your Corporate Headquarters Will Probably Understand"
3. "That Parade with No Irish or Gay Overtones"
2. "Pepsi's Days of '47 Featuring Brian Regan, Smash Mouth and Flo From Progressive Insurance"
1. 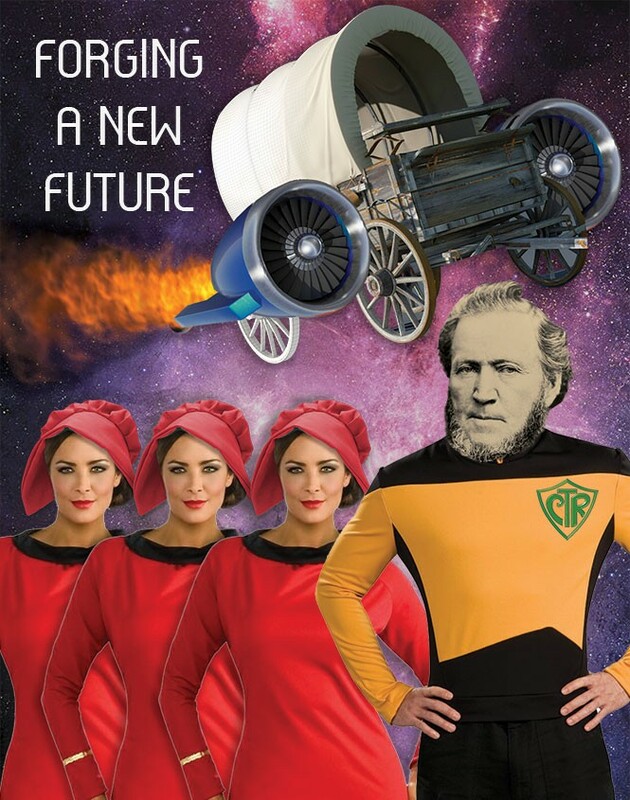 "Pioneers: Time-Traveling Cyborgs Sent to the Past to Establish SkyDeseret"